Joel J. Horak, 70 of Canal Fulton, passed away Saturday, August 25, 2018 at his home. 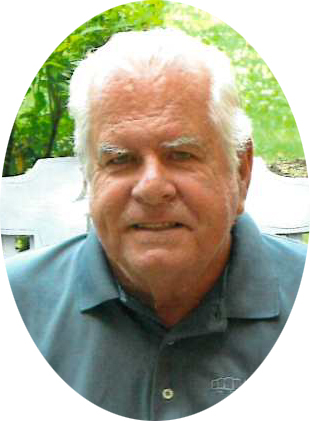 Joel was a life resident of the area, graduate of Barberton High School and had retired from Bridgestone/ Firestone after 40 years service, where he worked in IT in Tire Development. Joel was widely known throughout the area for being the terrific disc jockey of TopDownDJs. He played music for countless car cruises and car shows over the years. Preceded in death by his father, Joseph Horak; mother, Betty Horak, both of Barberton; step-mother, Theda Romeyn Horak of Akron. Joel is survived by his wife of 48 years, Judi Horak; sons, John Horak of Canton and Chad Horak of North Canton; two grandchildren, Caige and Xander Horak, Joel's 'best buds"; brothers, Gerald (Sharon) Horak of Barberton, Kevin (Kathleen) Horak of Aurora, Brian Romeyn of Mentor-on-Lake and Kevin (Trina) Romeyn of Vancouver, WA.. Joel is also survived by mother-in-law, Evelyn Jones of Cuyahoga Falls; and many nieces and nephews. Funeral Service will be FRIDAY, 11am at the Swigart-Easterling Funeral Home, 624 Cherry St. E. (Rt. 93) Canal Fulton with his brother, Kevin Horak officiating. Friends may call at the funeral home THURSDAY 4 - 7 p.m. Car cruisers are more than welcome to "dress casual" for the calling hours and Joel's funeral. The cruisers are also welcome to bring their "rides" to drive in the funeral procession as escorts for Joel to Greenlawn Memorial Park,, Romig Road, Akron. He would be honored. In lieu of flowers, donations may be made to the Education Funds for his "Best Buds" Caige and Xander Horak.